Our pivotal aspects to put forward. Our security team comprises of Ex-police and Ex-Army personnel. All our buses are fitted with CCTV cameras and GPS for easy tracking. Your ward’s commute when he/she boards the school bus is in safe hands and is constantly being monitored through CCTV cameras. The ward is escorted in and out of the school bus by trusted personnel. There is a strong relation between art and mental well-being. Art builds-up problem solving and critical thinking skills in children. Music binds their souls with strings. Real education can be found beyond text books. Art and Music are no longer hobbies, they can be pursued as serious careers. But artists can flourish only when their talent is identified early and they are groomed in the right direction. Arts is not just for the creative minds. They play an important role in tactile movements, control, observation skills and to build a sense of aesthetics amongst students. 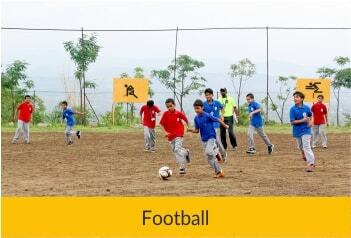 All children should get the chance to learn multiple sports through the course of the academic year (and not just specializing in / playing one sport throughout the year). Just like the academic program in a school is designed keeping in mind all students similarly the sports program at Sanskriti is also designed to ensure that it benefits all the children. To implement our Sports Philosophy we are fortunate to have a very experienced and passionate Sports Department where educators with a vast experience in moulding young children work tirelessly to help our students develop team spirit, resilience, discipline and many other skills via sports. For any beginner to learn riding the only prerequisite is to conquer your own fears. We have observed that once children realize that using their patience and confidence they can they control an animal much stronger than them it develops skills (confidence, patience) which stay with them for life. We believe that riding is a means towards a bigger end. The school has thoroughbred horses on campus and a separate equestrian arena. The riding program has been created to help develop confidence, patience and courage. Our riding department is headed by a retired ex-army instructor. We take great precautions for the safety of the students while they learn how to ride. The VR program is in sync with one of the core goals of the school i.e. ‘ Giving our children early access to new technology and learning systems to give our children a head start for being ready for the future’. We are proud to be the first school in India to start a Virtual Reality based program to enhance the learning of our children. The Program is designed to help children learn in a much easier and intuitive manner by giving them a three dimensional experience of many concepts for science, geography as well as history. The program has been very successful because not only our students are learning better they are also having a lot of fun by learning via this new technology. The VR program is a part of the regular curriculum where certain topics are taught via this format for all children from Classes 1 to 7. We have established robotics clubs in all the campuses of Sanskriti School to expose children to the new emerging robotics world. We ensure that our students feel curious, appreciated and confident to enter the new Technological World. Early exposure to students about automation. Helping them understand which careers may and may not become obsolete even after automation. Health and hygiene along with safety is the most important aspect of the school. The premises is kept clean to keep diseases at bay. Additionally, every student is encouraged to pick up a physical activity to keep himself / herself healthy. Kirloskar foundation bestowed ‘The most green and clean school of Pune’ award to Bhukum Campus for 2 years in a row. We not only keep the surroundings green but we ensure that the washrooms and other facilities that the students use are clean and hygenic. We maintain the highest standards of health and hygiene in all our campuses, without compromise. At Bhukum Campus, we have an impressive open air Amphitheatre facing a pleasing view of the mountains with large performance stage, enclosed by ascending seats. 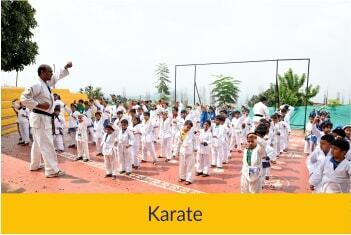 Our children assemble here for various activities like karate, cultural competitions to exhibit their creativity. 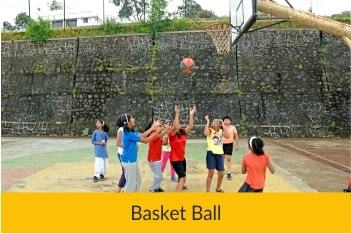 We conduct various inter-house activities, dramatics and various public speaking activities here. This helps them to overcome stage nervousness and boosts their communication skills. It makes child composed and articulate. It help students acquire pleasing social skills, clear speech, fluent delivery. Good learning Environment amidst of nature. Best place to showcase talents. Young minds of today are the citizens of tomorrow who will drive the nation forward. It is our responsibility to groom our students to become fine individuals and good citizens of the country. All our activities are designed to ensure that our children are curious, aware of their personal strengths and are aware of the happenings in the world around them. We focus on students individually. More attention is given to make them future-ready in all walks of life. 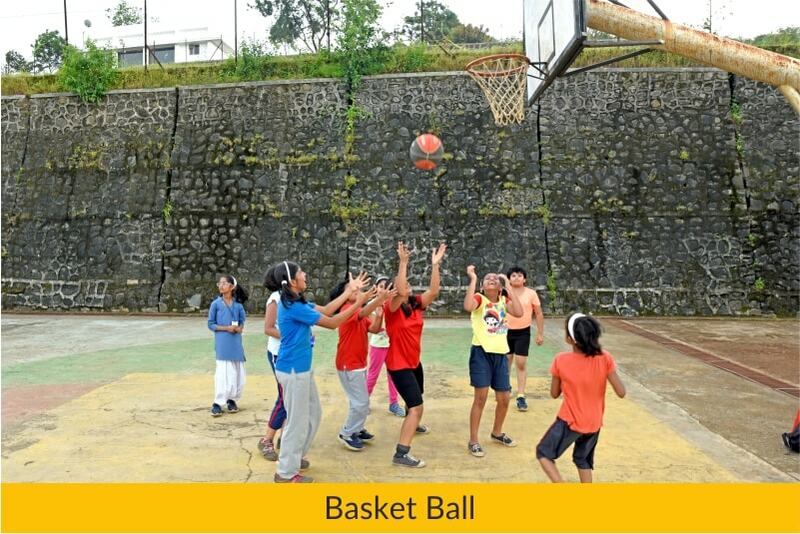 We encourage students’ overall development integrating activities keeping in mind their personal likings. The Art Block is equipped with every kind of art material and is an environment conducive to inculcate interest in learning. The display boards on the walls exhibit the brilliant work of the creative young minds. Clay Modelling is taught in a separate well equipped studio. In the spacious art labs, inter disciplinary art and many different techniques are taught in an interesting way ensuring imparting of knowledge using varied innovative mediums and forms of art. For senior school, the CBSE curriculum is followed. Under fine arts, applied/ commercial art is taught. The senior art lab is aptly equipped not only to teach but is also spacious enough to conduct workshops, competitions and big scale events. The art faculty comprises dedicated, talented and enthusiastic teachers always willing to strive for excellence.